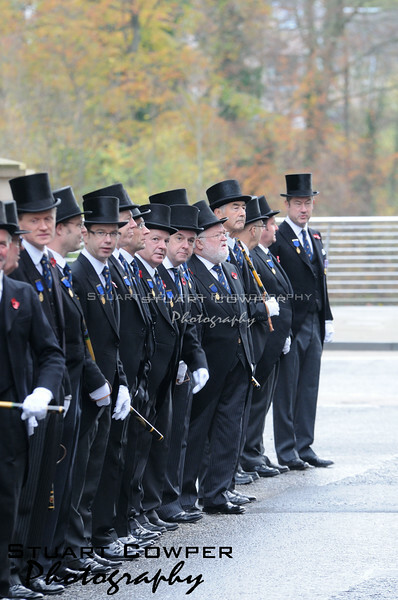 Pictures here of the Remembrance Sunday parades through Perth this year. First of all there was the parade with a number of war veterans, army, navy and air force cadets who were joined in the parade this year by local brownie and guides. Following this there was the parade of councilors, provost and Lord Lieutenant, led as per usual by the Perth and District Pipe Band and flanked by the Society of High Constables. Following a service of remembrance in St John's Kirk, the parade with veterans and cadets took the salute at the bottom of the High Street as they paraded to the North Inch.